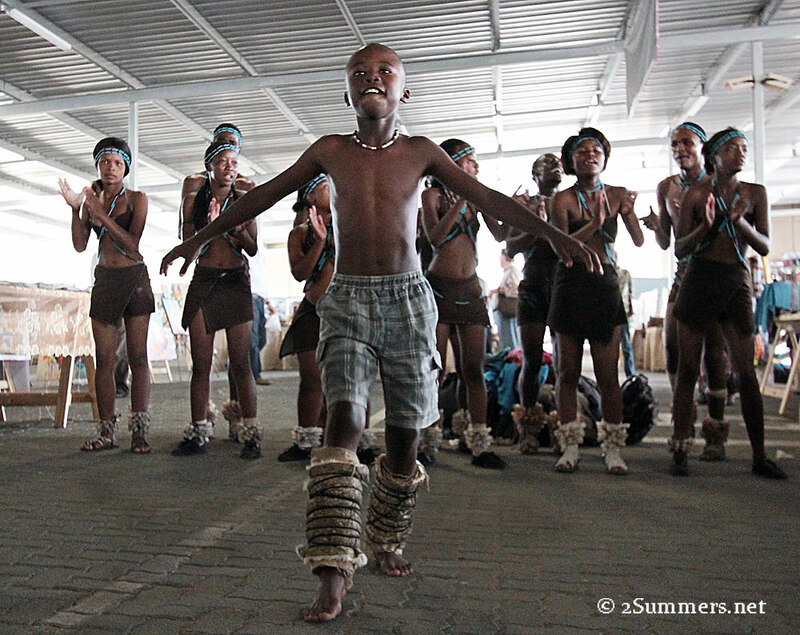 Fifth in my series of Sandton Snapshot posts, leading up to the publication of SandtonPlaces. Read posts 1, 2, 3 and 4. For years, the weekly flea market at the top of the Rosebank Mall parking garage — the Rosebank B&B Market — was a go-to Sunday afternoon outing for Joburg families. 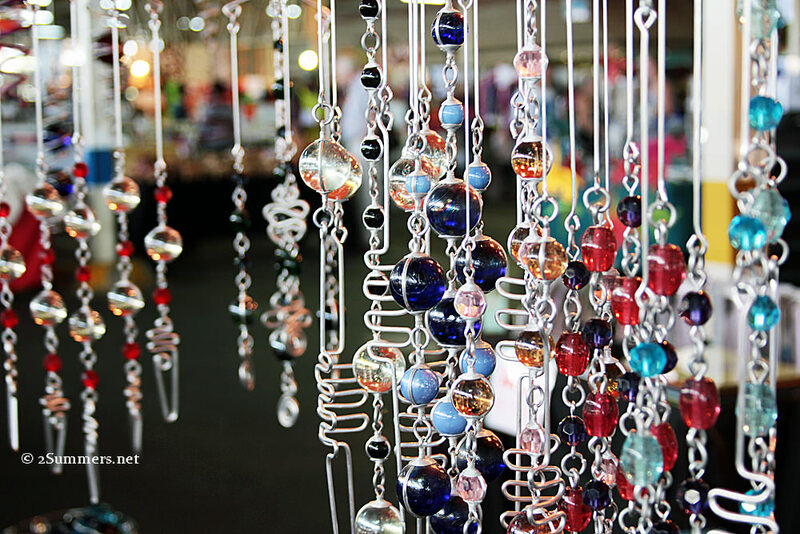 The market was the only one of its kind in Joburg and had hundreds of stalls selling crafts, antiques, food, and countless other locally made products. I never got around to checking out the Rosebank B&B Market. I kept putting it off because I figured it would always be there. Until, suddenly, it wasn’t. Early last year, amidst a major renovation of the Rosebank Mall, the B&B Market suddenly closed. Word on the street was that the closure was temporary and the market would reopen once the parking garage was renovated. Then news circulated that the B&B Market wouldn’t reopen at all in Rosebank, and was moving several kilometres away. The B&B Market reopened in Norwood, in the parking garage of Norwood Mall, in mid-2013. Just like that, the legendary Rosebank B&B Market was no more. Now there was a new market in a new location, renamed the Norwood B&B Market. 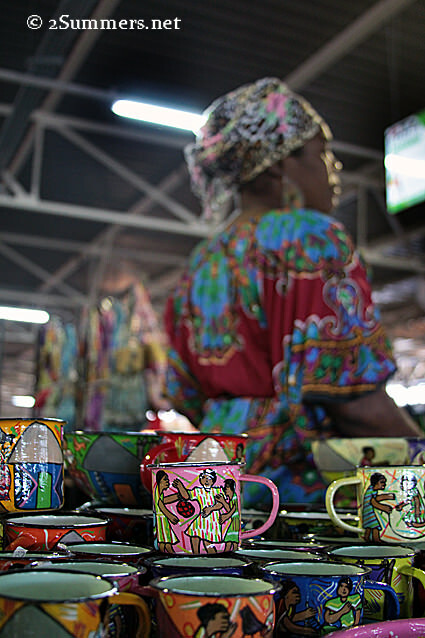 Vendor selling painted tin cups at the new Norwood B&B Market. Meanwhile, late last year I started seeing signs for a new flea market in the Rosebank Mall called the Finders Keepers Market. At this point I hadn’t even gotten around to visiting the new Norwood B&B Market yet, and now there was a new Rosebank market where the old B&B market used to be. I was thoroughly confused. I’m sure everyone reading this is confused too. Most of you have probably stopped reading by now. Anyway, now I’ve visited both markets and sorted out the confusion. And all you need to know is that there are two Sunday markets now, one in Rosebank and one in Norwood, and both are really fun. 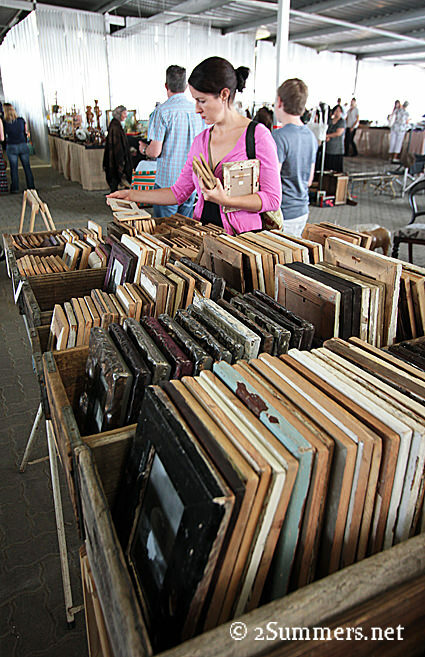 Picture frames made from vintage pressed-tin ceiling tiles and other recycled materials. I shot this at the Finders Keepers Market in Rosebank, but this vendor has a stall at the Norwood B&B Market too. 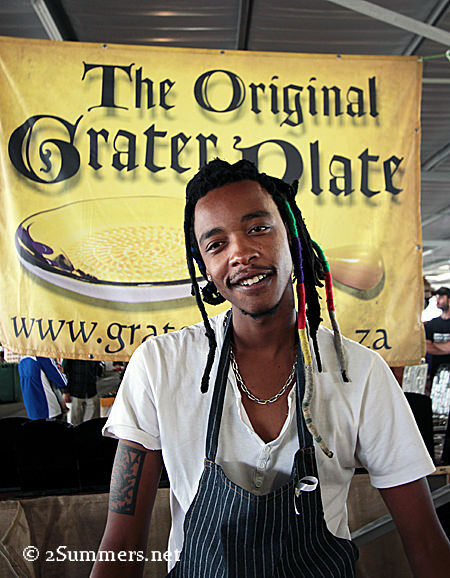 Thato, a vendor selling interesting vegetable-grater-thingies at the Finders Keepers Market. Pretty glass beads at the Norwood market. 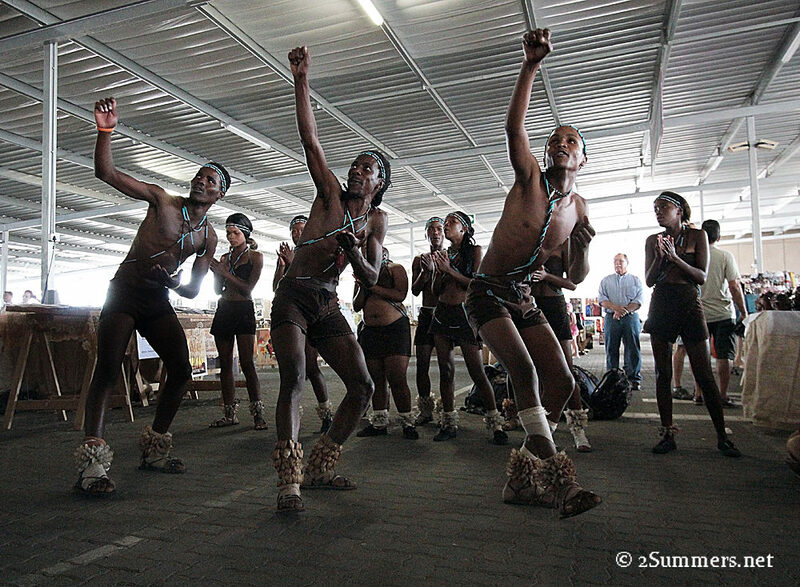 A cultural dance group called Baloi Bammino performs at the Finders Keepers Market. Both markets feature live entertainment. I love this group. I had actually seen them perform once before in the Fashion District. 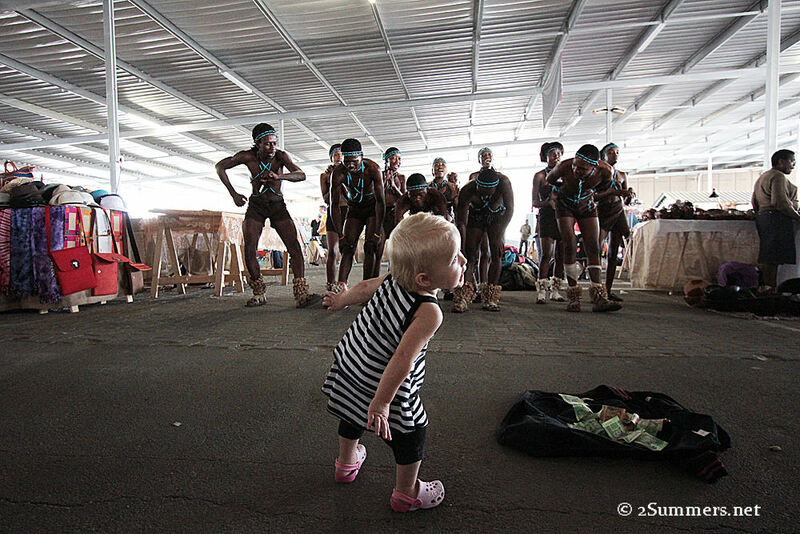 This little girl loves dancing to Baloi Bammino. From what I’ve heard, neither of the new markets are as big or as vibey as the old Rosebank market used to be. And there has apparently been quite a bit of acrimony among the owners of the two markets, the landlords, the vendors, etc. But I really enjoyed myself at both markets and I hope they both survive. I especially like the atmosphere at the Finders Keepers Market. Note, however, that Rosebank Mall is still a construction zone and it’s a little confusing to navigate. Renovations are scheduled to finish in September. 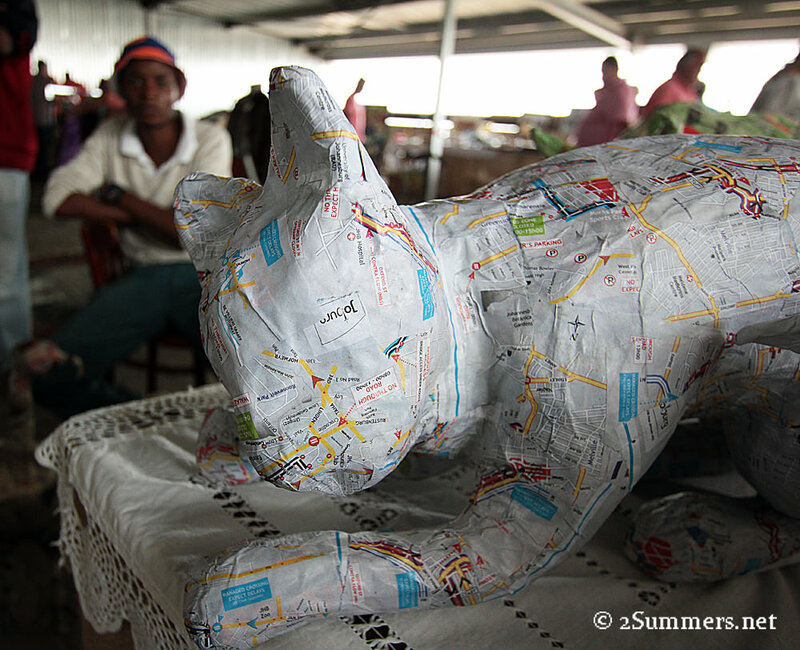 A paper mâché cat made of Joburg street maps — totally worth navigating some construction for. Both the Finders Keepers Market and the Norwood B&B Market are open from 9:00-4:00 on Sundays. Oh, I love those painted tin cups! Those are so cool! Not seen anything remotely like that here. I love them too. I’d never seen anything like it here either. I bought one. We have been to the Rosebank Market (the old one it is) back in 2005. It was really nice and we enjoyed it a lot. The two new markets sound fun too. Whenever we will manage to come back to SA we have to go. Thanks for the comment. I hope you make it back soon. Interesting. I think I really liked Finders Keepers that day because of the dance group. But I imagine the vibe differs depending on the time, day etc. Cool, Debbie. How long will you be back? If you only had one sunday, would you pick one of these markets or the market on main? The Norwood Market, now gets run by Norwood Mall and no longer B&B Markets. The new management lowered the cost of the stands as to help the traders, which is really nice. Oh interesting, thanks for letting me know!